We have been delivering quality service for over 26 years. We offer an experienced approach to your project’s needs. We only use quality materials provided by reputable suppliers. These products have been designed for the purpose of providing your project with a great finish. We do use recycled products where possible, as we are environmentally aware. We are also fully insured to provide you with the best service possible. Jon Potter Concrete can provide you with the one stop shop of concreting. We have all our own tools, equipment and vehicles and do not rely on sub-contractors. We’ve even got our own concrete pump. Garage Concrete Slabs & Sheds floors etc. 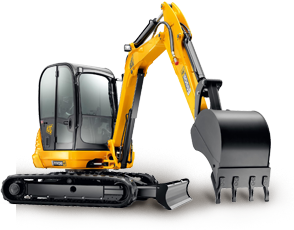 Excavation services using bobcat skid steer loaders, T190 track machine, 573 skid steer wheel loader, 4 tonne Bobcat excavator, 8 tonne tipper truck etc.